The poster for the 2015 Grand National Roadster Show. The Souvenir Program for the 1962 Grand National Roadster Show. Jerry Woodward's 1929 Ford Model-A Roadster, "Thunder Road", of Utah won the America's Most Beautiful Roadster award in 1957. Photo from the 1951 National Roadster Show. The souvenir program for the 1951 National Roadster Show. The Grand National Roadster Show is the longest running indoor car show in the world! The first show that was held in 1950, was arranged by Al Slonaker. It was not Al's first show, as he had promoted another show one year earlier in San Francisco. But the show in San Francisco was not a big success, so Al tried again the next year in Oakland, California. Al first promoted his show as the National Roadster Show, but in the beginning the show was also known as the Oakland Roadster Show. The show was later renamed the Grand National Roadster Show. 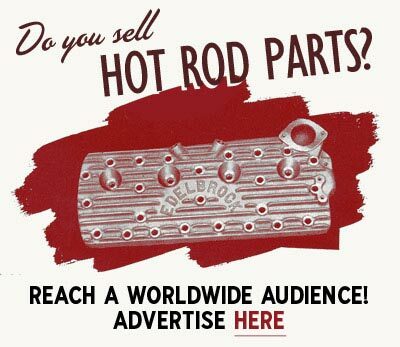 Visit www.rodshows.com for more information about the Grand National Roadster show. The 70th annual Grand National Roadster Show was held January 25 - 27, 2019 at the Fairplex in Pomona, California. Over 500 show vehicles competed for awards inside the Fairplex buildings. Another 400-800 vehicles joined the event Saturday & Sunday for the 14th Annual Grand Daddy Drive-In. The 69th annual Grand National Roadster Show was held January 26 - 28, 2018 at the Fairplex in Pomona, California. Over 500 show vehicles competed for awards inside the Fairplex buildings, while another 400-800 vehicles joined the event Saturday & Sunday for the 13th Annual Grand Daddy Drive-In. The 68th annual Grand National Roadster Show was held January 27 - 29, 2017 at the Fairplex in Pomona, California. The 67th annual Grand National Roadster Show was held January 29 - 31, 2016 at the Fairplex in Pomona, California. The 66th annual Grand National Roadster Show was held January 23 - 25, 2015 at the Fairplex in Pomona, California. One building at the show was dedicated to celebrate different aspects of the Southern California Car Culture, while another building was dedicated to the 75th Anniversary of the 1940 Ford. 18 cars competed for the Americas Most Beautiful Roadster award. Larry Olson took the award home, with his Bobby Alloway built 1933 Ford roadster. Click here to see Charles LaGreca's photos from the 2015 Grand National Roadster Show. 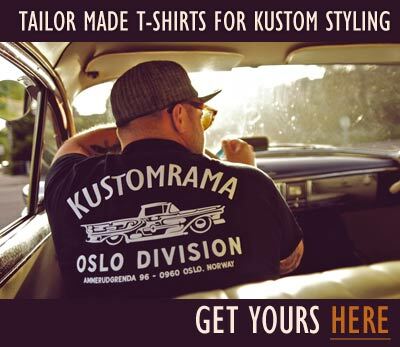 Click here to see Kustom0000001. 's photos from the 2015 Grand National Roadster Show. Click here to see Bob M.'s photos from the 2015 Grand National Roadster Show. Click here to see Hotrod's photos from the 2015 Grand National Roadster Show. Click here to see Cruzzin with the "Lugnut"'s indoor photos from the 2015 Grand National Roadster Show. here to see Cruzzin with the "Lugnut"'s outdoor photos from the 2015 Grand National Roadster Show. Click here to see Corazzelil Photography's photos from the 2015 Grand National Roadster Show. 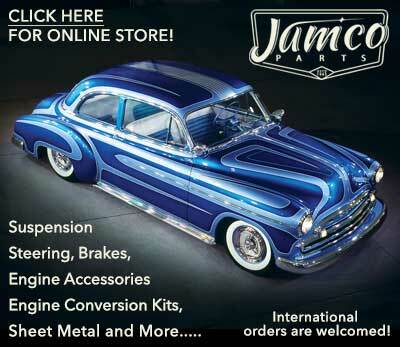 The 65th annual Grand National Roadster Show was held January 24 - 26, 2014 at the Fairplex in Pomona, California. Over 500 vehicles competed for awards inside all of the Fairplex buildings, while another 400-800 vehicles were displayed at the 9th Annual Grand Daddy Drive-In. Featured building number 9 held a special exhibit called "A Century of Speed". The exhibit celebrated the 100th Anniversary of Bonneville. The 62nd Grand National Roadster Show was held January 28 - 30, 2011 at the Pomona Fairplex in Pomona, California. This years show contained an elite gathering of the most historically significant customs in the world. Many carefully selected vehicles was displayed together at the special feature building #9 at the show. The Customs "THEN & NOW" took visitors back to the early days of the custom car. Starting with the early elegant Art Deco coach built one of a kind creations, through a huge gathering of real authentic 40's customs, 50's customs, 60's customs, to a section of contemporary award winning show cars. Custom cars from the 1940's & 1950's that hadn't seen the light of day in close to 50 years were finally shown to the public again in building number 9. The 61th annual Grand National Roadster Show was held January 29-31 at the Pomona Fairplex in Pomona, California. This years theme for building number 9 will be "The History of the Race Car". The exhibition will include Drag Racing cars - Dragsters,Funny Cars, A F/X,Super Stock, Gasser, Altered Wheelbase, Fuel Altereds, vintage Nascar's from the 50's,60's, 70's, jalopy racers, midgets & 1/4 midgets, dry lakes & Bonneville cars, Belly Tanks, Streamliners,stockers,Roadsters,Mexican Road Race, Pikes Peak, Street Racers, and boats. 2010 America’s Most Beautiful Roadster? The 60th Grand National Roaster Show was held January 23th-25th at the Pomona Fairplex, Pomona, California. This was the 6th time that the GNRS was held at the Pomona Fairplex. More then hundreds of cars attended the 60th annual Grand National Roadster Show. More than 500 show vehicles competed for awards inside all of the Fairplex buildings, another 400-800 vehicles attended the event Saturday & Sunday for the GNRS Drive In parked in between the buildings and walkways. Amongst the stars attending the event were Henry Winkler “The Fonz”, and Erin Moran Joanie Cunningham of Happy Days, Lou Santiago of Muscle Car TV, Chris Jacobs of Overhaulin & Hubgarage.com. The 60th GNRS also hosted a reconstruction of “Oakland” as it was in 1959, displaying over 100 historic vehicles that have been in the show at least once before. The 59th Grand National Roadster Show was held January 25th- 27th at the Pomona Fairplex, Pomona , California. The 15th annual Grand National Roadster Show was held February 15 thru 24, 1963. The 10th annual National Roadster Show was held February 14-22. 1959 at the Oakland Exposition Building. On Sunday evening February 22th, 67 awards were given to awarded cars. After the ceremony all of the awarded cars left the grand exit in a parade. Al Sloakner was the director for the show, and Mary Sloakner was the manager. The ninth annual National Roadster Show was held February 15-23, 1958 in the Oakland Exposition Building in Oakland, California. At the 1958 show Romeo Palamides and a crew of hot rodders built a roadster in front of the attendants. The car was worked on every day of the show, and finally driven off the stage at the last day of the show. Al Sloakner was the producer for the show, and Mary Sloakner was the manager. Richard Peters took home the America's Most Beautiful Roadster award with his Barris Kustoms restyled Ala Kart show rod. When it came to the grand custom award, Custom Car D'Elegance, the West's two greatest custom car builders matched skills to tie in class. George Barris of Barris Kustoms with Bill Carr's 1955 Chevrolet Bel Air, The Aztec, and Joe Bailon of Bailon's Custom Shop with Joe Tocchini's 1951 Ford Victoria, The Mystery. The eight annual National Roadster Show was held February 19-24, 1957 in the Oakland Exposition Building in Oakland, California. Al Sloakner was the producer for the show, and Mary Sloakner was the manager. The 1956 National Roadster Show was held in February, 1956, in Oakland, California. The 1955 National Roadster Show was held February 19-27, 1955. The fourth annual National Roadster Show was held February 17-22, 1953 at the Oakland Exposition Building. The second Oakland Roadster Show was held February 20-25, 1951 in Oakland, California. ↑ The HAMB - 2010 Grand National Roadster Show - HISTORIC RACE CAR BUILDING ! 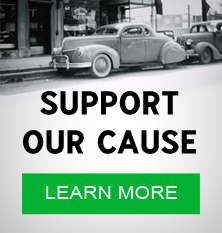 Subscribe to our newsletter and receive updates on Grand National Roadster Show and other subjects featured on Kustomrama. If you have additional information, photos, feedback or corrections about Grand National Roadster Show, please get in touch with Kustomrama at: mail@kustomrama.com. This page was last edited on 25 March 2019, at 23:13.